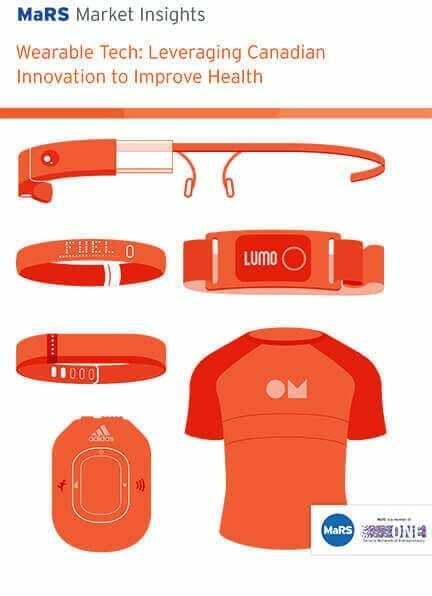 Advances in electronics, material sciences and sensor technologies have made it relatively inexpensive to commercialize wearable devices for a multitude of applications. 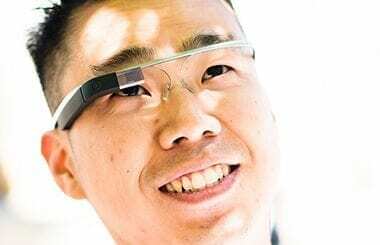 Major multinationals such as Google, Samsung, Nike and Philips are investing heavily in this market with the hopes of winning the war of the wearables. Initial projections by market research firms confirm that there is growing consumer interest in wearables. Global revenue for 2014 is estimated to range from $4.65 billion to $9.17 billion, and the market is poised to grow rapidly over the next few years, according to BCC Research and MarketsandMarkets research. With increasing competition, many mediocre devices will fall behind, while only value-added products will charge ahead. 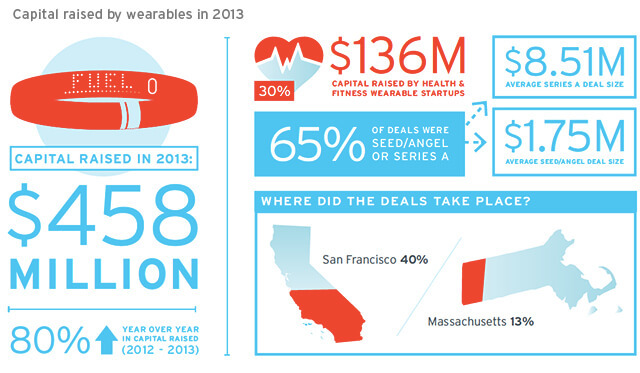 MaRS Market Intelligence published a new report today on wearable devices for health and fitness. The report explores the history of wearables, current incumbents, market landscape, investment activity and future trends. With a market that is already very saturated, Canadian startups are gaining recognition, especially from our neighbours down south. The MaRS report profiles nine Canadian startups, some of which are MaRS clients, that have created revolutionary devices in the health and fitness market that go beyond measuring simple step counts and heart rate. These unique devices capture advanced body metrics, such as brainwaves (Muse), breathing rate and breathing volume (Hexoskin), head impact (Shockbox) and explosive strength (PUSH). The growth of the wearables sector in Canada has resulted in many international investors opening up their chequebooks. Kitchener-based Thalmic Labs, Toronto-based InteraXon, Vancouver-based Recon Instruments and Montreal-based OMsignal have all closed multi-million dollar deals with United States–based venture capital firms. Just recently, computing superpower Intel announced that they had acquired Vancouver-based startup Basis Science for up to $150 million. With these recent investments and acquisitions, it is fair to say that Canadian startups are a formidable force in the wearables space. MaRS Market Intelligence reached out to more than 20 stakeholders (including investors, startups, academics and users) to ask them how they think the wearables market will be transformed in the next five to 10 years. Here is what they had to say. Predictive guidance: Collecting and analyzing anonymized data from multiple users will enable devices to provide predictive health/fitness guidance. Multiple functionalities: Devices will not be limited to one task; they will collect and measure all aspects of a user’s life. Wearables as a platform: More and more manufacturers will create platform devices for developers to tinker with. Many losers, few winners: “Me too” devices that compete on price and design will fail, while only devices with innovative features will survive. Price drop and new business models: Price drops and shrinking margins will force entrepreneurs to find alternative revenue streams beyond selling hardware.